Vibration isolation subsystem design for EMD’s Tier 4-compliant 4400 hp engine in the 2015 SD70ACe-T4 locomotive model. 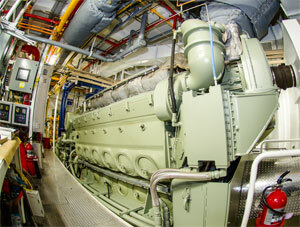 This is the first resiliently-mounted EMD engine in 75 years of making diesel engines. Click here for Railway Age article about this project. Powertrain skid, close-coupled adapter (see patents) and resilient mount design for the first EPA Tier 4 emissions-rated 4700hp diesel passenger locomotive in America, destined for service in California. Click here for a Railway Gazette article about the locomotive. Experimental low-rpm resilient engine mount design for EMD 12-710 3000hp engines used in harbor service on the M/V Tate McAllister, designed and built by Washburn & Doughty of Maine. Click here for a Professional Mariner article about this project. 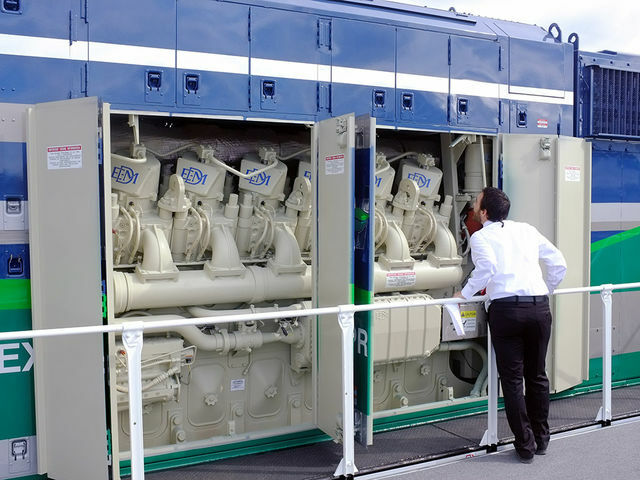 Equipment was added to the UP 9900, a 1980’s-era freight locomotive, to bring it in line with 2014 EPA diesel emissions laws in three engineering development phases, each of which required operating deflection shape vibration test to validate the new structures for reliability. Click here for a Railway Technology article about this project. Posted in Engineering. Bookmark the permalink.